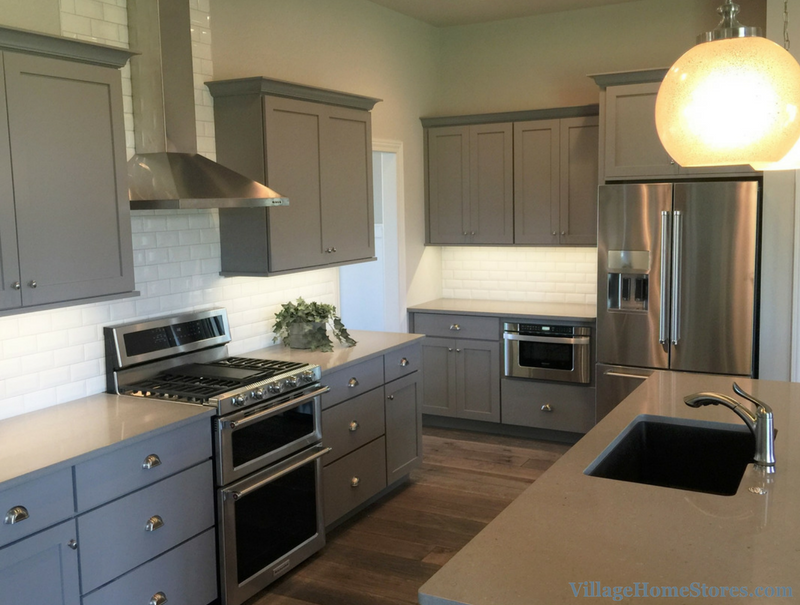 Stainless Steel appliances from our KitchenAid line, and an engineered quartz countertop named “Fossil Gray” is installed throughout the kitchen. 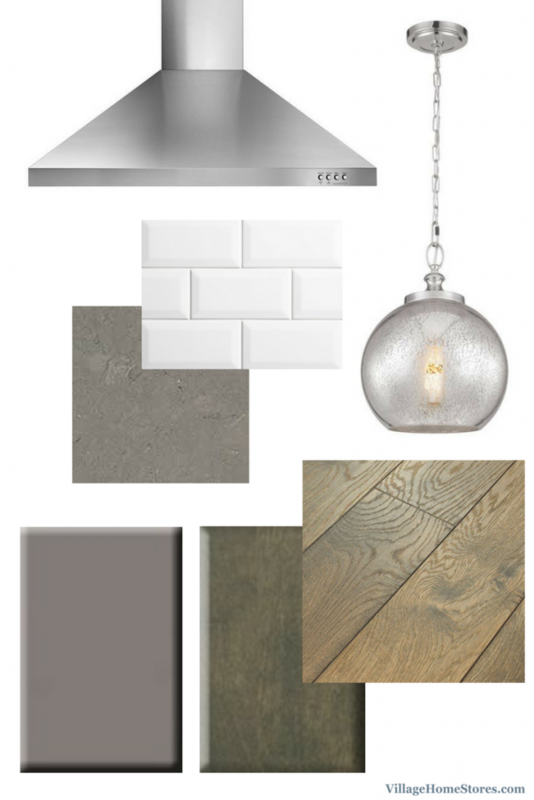 Mercury Glass pendants from Feiss hang above the island and all of this rests upon gorgeous new engineered wood flooring. Adding a simple detail to a classic look can really add a lot of interest. 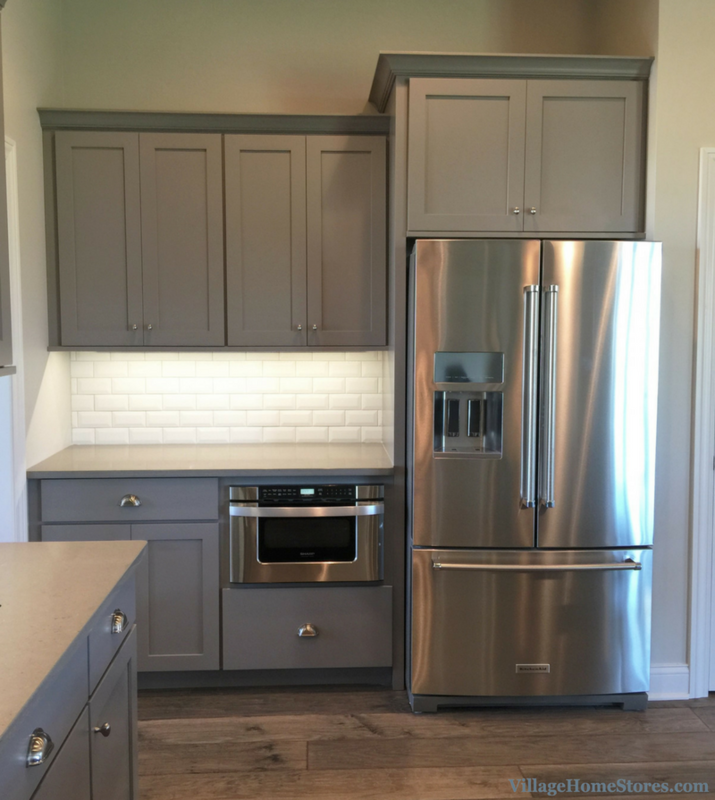 This kitchen includes a classic 3″ x 6″ subway tile. 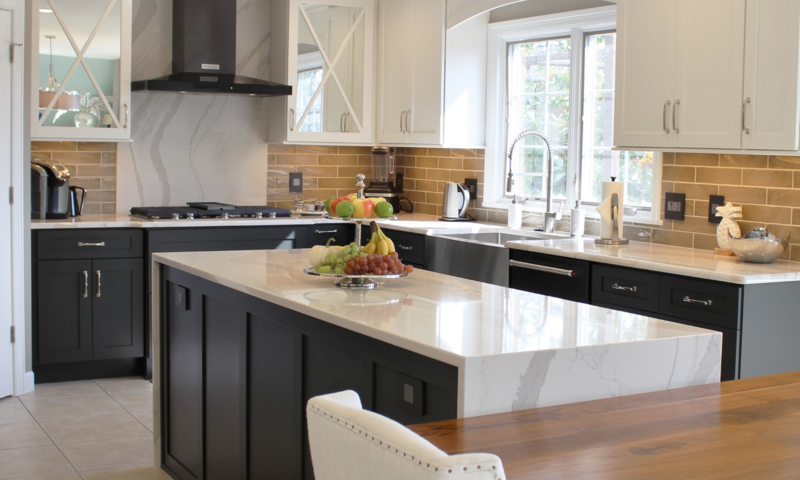 By selecting a beveled subway tile in this kitchen, light can bounce around on the surface and this white-on-white look has an added dimension. 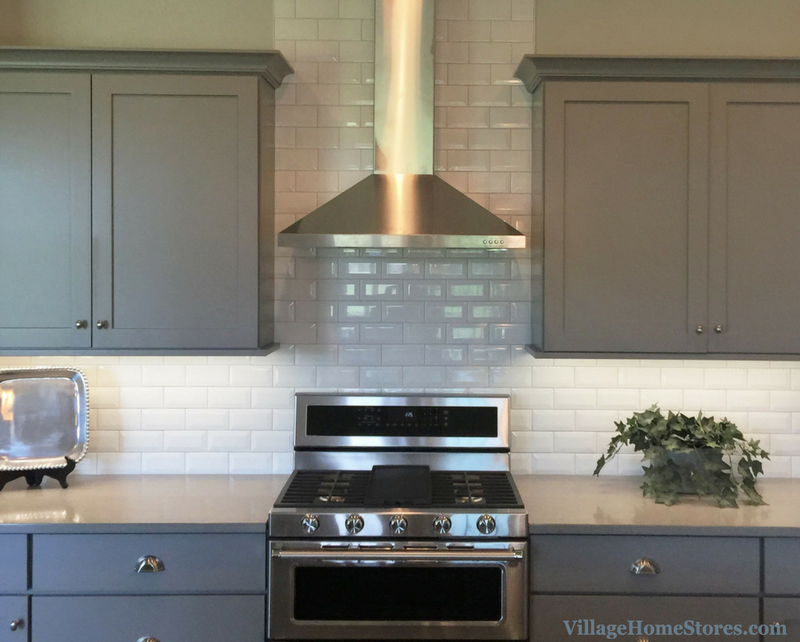 Instead of ending where the hood begins, the tile is extended behind the new Stainless chimney-style hood up to the ceiling. 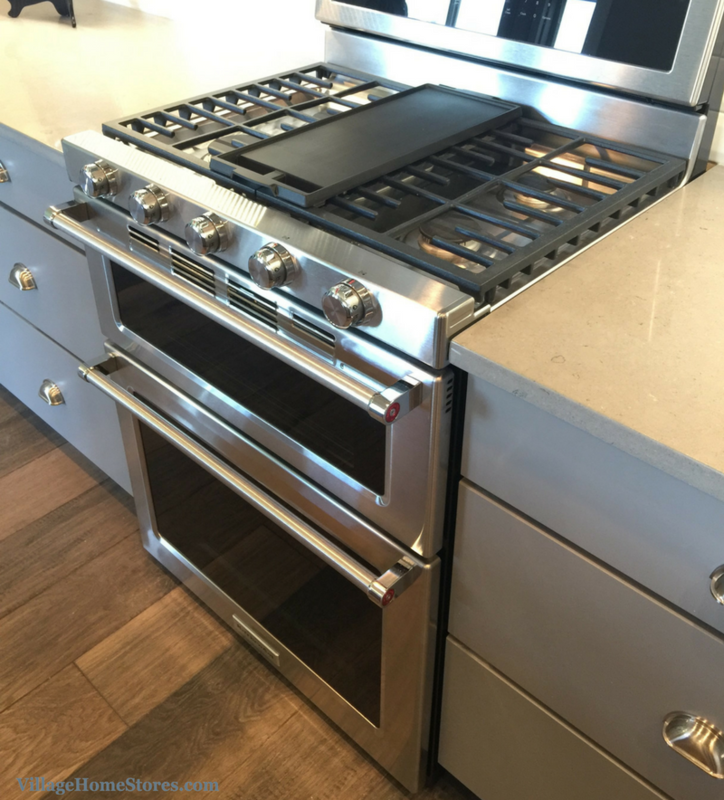 At the center of attention on this feature wall is a double oven gas range by KitchenAid. The combined oven capacity is 6.0 cu. ft. of space providing more room to cook multiple dishes at the same time. The bottom oven includes a SatinGlide® Rack that operates smoothly allowing effortless loading and unloading, even with large or heavy dishes. Across the kitchen is a wall of cabinetry that includes a built-in Sharp microwave drawer unit below the countertop, Microwave drawers work well in an area that have a work surface above them for loading and unloading the unit. To the right is a 29 cu. ft. refrigerator by KitchenAid. This model is packed with innovative storage options and features to help your food stay fresher longer. 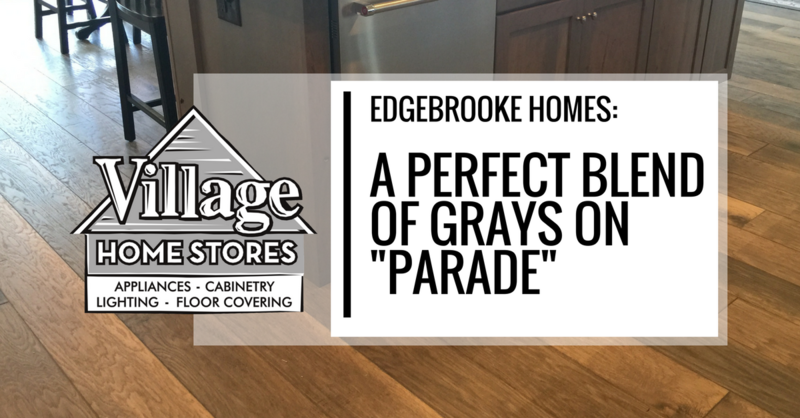 The engineered wood floors are the perfect variety of color to compliment all of the other finishes in the room. 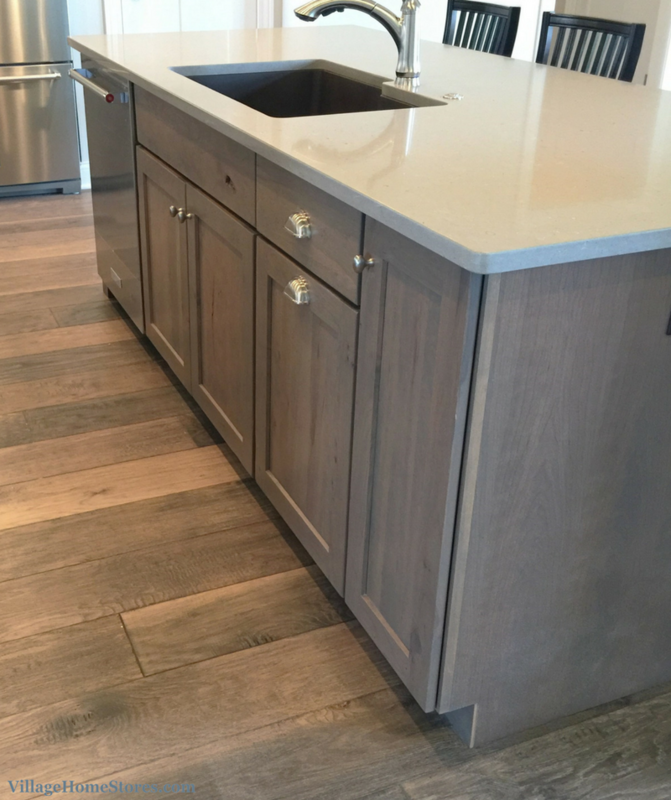 The darker grain and stain on the “Barnwood” finish picks up on the island finish. The Rustic Cherry island is at the center of the design and certainly the center of all attention once you enter the kitchen. 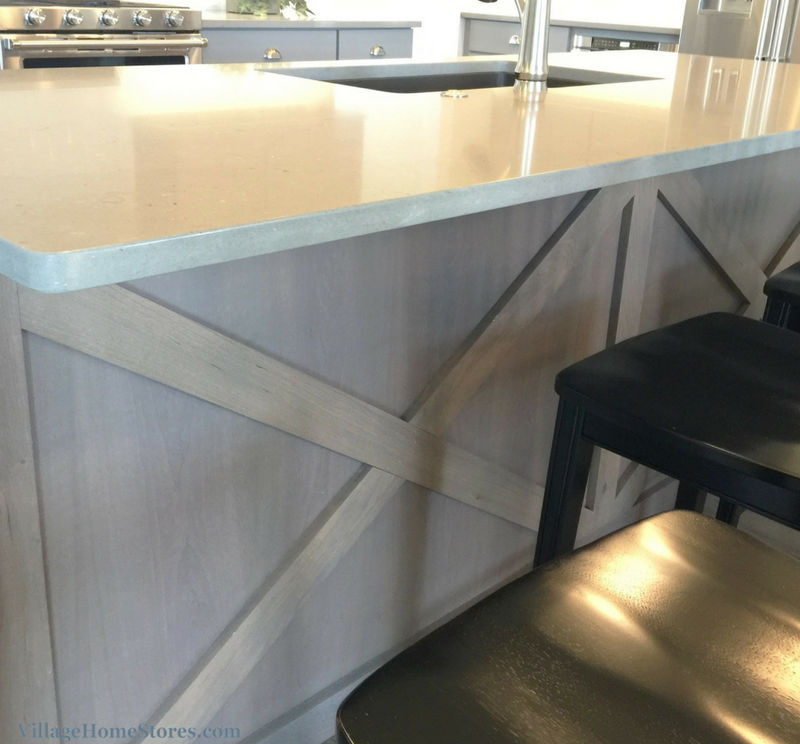 When viewed from the Dining area the back of this island has been given a detail treatment with an “X” motif. This “X” look and finish suggests a “farmhouse” look but with the overall design and selections, it is a sophisticated modern farmhouse look. With so many open-concept kitchens in a painted white finish, it is so refreshing to see something new and interesting in the mix. 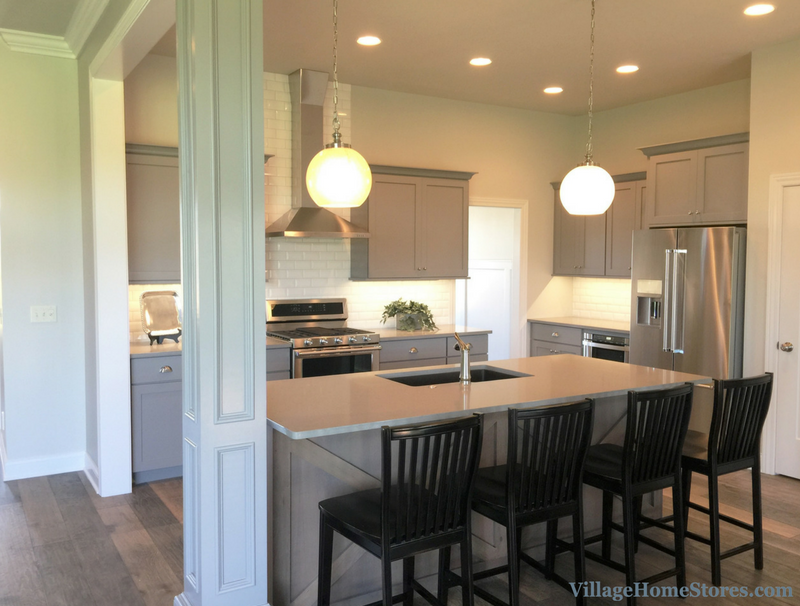 the selections and styles throughout are all classic and everything looks right at home with the furniture throughout the main level of this new Bettendorf home. If you are building a new Home in the Quad Cities Region we would love to be your one-stop shop for the project! We make the design, selection, and ordering process easy and fun for you and your contractor. Ask us about our “Bundle Your Purchases” program where you can earn free lighting for your new home with purchases storewide. 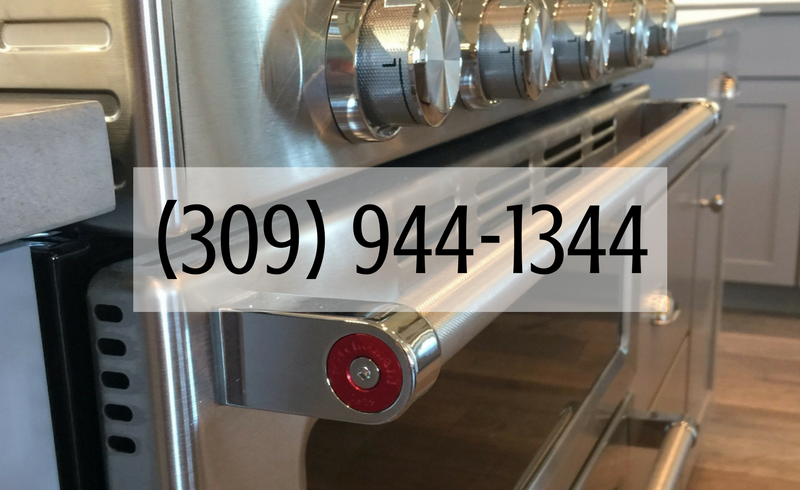 Contact us today for an appointment we can’t wait to hear about the plans for your new home.